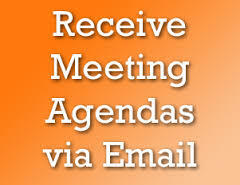 To receive emailed agendas for Cedar Hills meetings, you may subscribe to the Utah Public Notice website. Please follow the instructions below. Note: To receive agendas and notices for each committee or council, it is necessary to subscribe individually to each “public body type” (Council, Planning Commission, Board of Adjustment, Community Development and Renewal Agency, Traffic Safety and Livability Oversight Committee, Parks and Trails Committee, or Municipal Building Authority). 1. Go to http://pmn.utah.gov to access the Utah Public Noticing Web site. 2. Click “Cities” in the “Government” box. 3. Click “Cedar Hills” in the “Entity” box. 4. Click on one of the “Public Body” types for which you would like to receives notices. 7. Repeat the above process of each Public Body for which you would like to receive e-mail notifications. By subscribing to each “Public Body” type, you will be notified of any new notices, as well as any updates to current notices, which may be published for Cedar Hills on the Utah Public Noticing Web site. 8. You will receive a message from Utah.gov, to which you must confirm within 48 hours to execute your subscription request. You will receive a second message stating that the subscription has been confirmed. If you have further questions or concerns, please contact the Cedar Hills front desk at 801-785-9668, ext. 100, or e-mail FrontDesk@cedarhills.org.